It is so challenging to keep an eye on two places for my content. Some time a go, I had started fully resyndicating content from my main blog - www.coolcatteacher.com back here to my original blog on Blogger. What are the essential things we need to teach students about digital citizenship? How can we simply help them understand using examples and research (because we know lecture doesn’t work so well on this topic.) All of the nine topics that I like to teach begin with P: passwords, property, photographs, permissions, privacy, professionalism, permanence, and protection. I wrote about these in Reinventing Writing and in other articles. In today’s show, I share my latest thinking on helping students understand how to discern truth from fiction and other important topics for being safe and wise in today’s modern world. 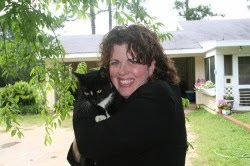 Vicki Davis is the host of the 10-Minute Teacher Podcast and a full-time classroom teacher in Albany, Georgia. See her bio. The post 5 Ways to Teach Digital Citizenship (and the 9 Key P’s of Digital Citizenship) appeared first on Cool Cat Teacher Blog by Vicki Davis @coolcatteacher helping educators be excellent every day. Meow! Jim Bentley is an elementary educator who also serves as a National Geographic Fellow and a Buck Institute for Education National Faculty. He works with both the Education and the Environment Initiative and KQED as a Teacher Ambassador and is passionate about environmental and civic education, media literacy, and filmmaking. 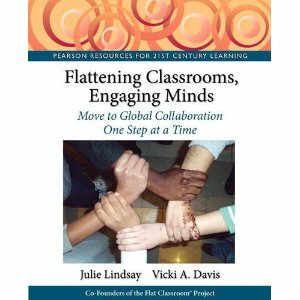 The post Geo-Inquiry in Project Based Learning appeared first on Cool Cat Teacher Blog by Vicki Davis @coolcatteacher helping educators be excellent every day. Meow! Online content should be riveting, interesting, and should educate students. Andrew Pass talks about trends in online education and shares the trends we should understand as educators. He also shares his thoughts on where virtual reality (VR) is now and where it needs to go in education. Andrew Pass is the founder and Chief Executive Officer of A Pass Educational Group, LLC. The company works with all levels, from kindergarten to corporate. Prior to beginning A Pass Educational Group, Mr. Pass completed advanced doctoral work in Curriculum, Teaching, and Educational Policy at Michigan State University. In addition, he holds an M.A. in Jewish Education from the Jewish Theological Seminary of America and a B.A. in Political Science from Columbia University. After graduating from college, Pass taught fifth and sixth-grade Judaic studies courses at a private school in Texas for three years. He later taught pre-service social studies methods courses at Michigan State. More recently, he taught graduate courses in educational technology, focusing on the many education friendly tools within Web 2.0. The post 3 Interesting Trends in Online Education Content (That You May Not Know) appeared first on Cool Cat Teacher Blog by Vicki Davis @coolcatteacher helping educators be excellent every day. Meow! As many educators know who have studied the growth mindset, teaching motivation and metacognitive principles is challenging. While he started as a journalism teacher, now Chris works with students to try to help them understand motivation and success principles. He will share with us what works (and doesn’t) and also will tackle misconceptions and misapplications of the word “grit.” You can’t just tell students to “have grit” but there are things you can say instead. Chris Holmes is a teacher, researcher, and writer who studies student motivation. His 18-year teaching career includes working with students on the verge of dropping out, students with learning disabilities, and students who are gifted. The post How to Unleash Student Motivation to Succeed appeared first on Cool Cat Teacher Blog by Vicki Davis @coolcatteacher helping educators be excellent every day. Meow! Kimberly Mitchell talks about how we can promote inquiry in the classroom. From helping students to effectively generate questions to modeling curiosity, we have five practical ideas to bring inquiry into our classroom. Kimberly L. Mitchell @inquiryfive is the author of Experience Inquiry (www.experienceinquiry.com), co-founder of Inquiry Partners (www.inquirypartners.com) and adjunct professor at the University of Washington’s College of Education. 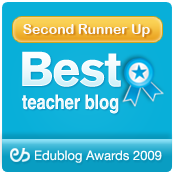 The post 5 Ideas to Experience Inquiry in Your Classroom appeared first on Cool Cat Teacher Blog by Vicki Davis @coolcatteacher helping educators be excellent every day. Meow! AP US History Teacher, Andrew Sharos, talks about how to create a collaborative environment that helps students learn and succeed in AP courses. It definitely isn’t just drill and practice, but a team experience that starts with a relationship. Andrew Sharos @AndrewSharosAP is a former high school history teacher now serving as Assistant Principal. He is the founder of the Village Project Consulting group that focuses on building stronger academic cultures in schools. He is also the author of “All 4s and 5s”- a soulful, underdog story about a teacher and his students achieving record Advanced Placement scores. The post All 4’s and 5’s: Secrets to AP Teaching Success appeared first on Cool Cat Teacher Blog by Vicki Davis @coolcatteacher helping educators be excellent every day. Meow!